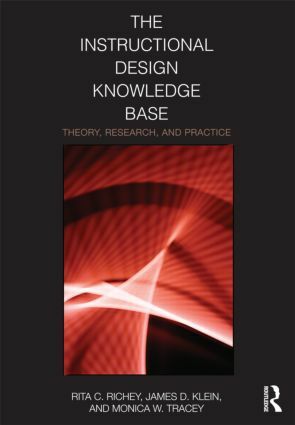 The Instructional Design Knowledge Base: Theory, Research and Practice provides ID professionals and students at all levels with a comprehensive exploration of the theories and research that serve as a foundation for current and emerging ID practice. This book offers both current and classic interpretations of theory from a range of disciplines and approaches. It encompasses general systems, communication, learning, early instructional, media, conditions-based, constructivist design and performance-improvement theories. a comprehensive list of references. A perfect resource for instructional design and technology doctoral, masters and educational specialist certificate programs, The Instructional Design Knowledge Base provides students and scholars with a comprehensive background for ID practice and a foundation for future ID thinking. Rita C. Richey is Professor Emeritus of Instructional Technology at Wayne State University. James D. Klein is Professor of Educational Technology at Arizona State University. Monica W. Tracey is an Associate Professor of Instructional Technology at Wayne State University.